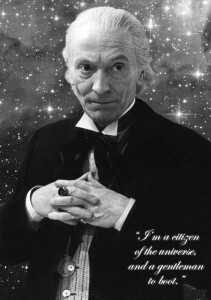 I decided to celebrate #whoday (the Doctor Who anniversary) with a missing episodes marathon. I’ve seen all of classic Who that was extant in the 80s, but I still haven’t caught up on recovered episodes and recons. For an appetizer, I warmed up with a rewatch of Unearthly Child (and amused Tumblr fans with silly liveblog captions). Then I hunted down fan recons of The Daleks’ Master Plan, the epic 12-episode-long masterpiece of Season 3. In fact, it’s really 13 episodes, if you count the prologue, Mission to the Unknown, for which fans have created a full-length animated reconstruction. Mission is unique in that the Doctor and companions do not appear, although the Daleks do. The surviving three episodes of The Daleks’ Master Plan are included on the Hartnell “Lost in Time” DVD, and fans have scrounged around for surviving audio recordings, still photos and short video clips to reconstruct the rest. (There’s also an audiobook reprise of the story narrated by Peter Purves and Jean Marsh with Nick Briggs doing the Daleks). Spoiler warning: there will be spoilers about character deaths below. Instead of an organised review, I’m just going to jot down my impressions and thoughts about this old, justly famous serial. It was fascinating to watch it for the first time just as I’m diving into Big Finish’s Dalek Empire series. Both of them start in the same way, with a Dalek invasion and Earth pilots and military forces discovering clues of the coming invasion, and the Doctor nowhere to be seen. In fact, there’s a distant but logical progression from The Daleks’ Master Plan —> Dalek Empire by way of Blake’s 7, with Terry Nation as the catalyst (architect of the Daleks, Master Plan and Blake’s 7). Dalek Empire draws on the more ominous Dalek invasion stories of classic Who but borrows a lot of themes and ideas (and even Blake’s actor!) from Blake’s 7. 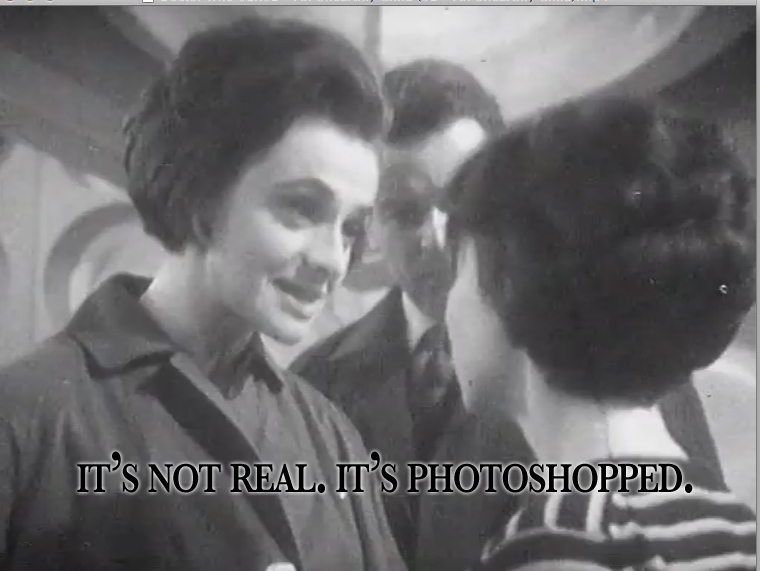 I can’t take credit for noticing the B7 connection; that was pointed out by Alan Stevens and Fiona Moore in their excellent analysis of The Daleks’ Master Plan. They noted several common elements, from “pursuit ships” to prison planets. More generally, B7, Empire and Master Plan all have a more-or-less dystopic Federation/Earth Alliance/Earth policed by a morally ambiguous military in jackboots— individual agents of which are more ethical than their ruthless superiors. Earth Alliance Security Agent Alby Brook fulfills the same role as Sara Kingdom and Bret Vyon, although he’s a bit of a loose cannon who disobeys orders. Mavic Chen could be Servalan’s spiritual great-grandfather; they both have a flair for the dramatic. In a way, even Susan Mendes has something in common with Sara Kingdom, a sympathetic and basically decent person following the orders of evil overlords. Sara doesn’t know she’s serving the Daleks, but as her superior Karlton notes, she doesn’t question orders either, and will kill her own brother if necessity demands it. Finally, all three stories have a strong “on the run” narrative, as the heroes try desperately to stay one step ahead of the overwhelming forces chasing them. That arc is what makes Daleks’ Master Plan tick. I was engrossed by the tension and drama of the chase for the first half of the serial, and I loved the many twists and turns as the Doctor and friends repeatedly kept outwitting their foes. The “conquer the galaxy” plot was less compelling: Mavic Chen and the Dalek alliance of outer galaxy evil overlords were somewhat two-dimensional and campy. Then again, they wouldn’t seem quite so funny when viewed by people who’d lived through World War II and faced the prospect of conquest by the Axis powers. Most of all, I loved seeing the guest companions Katarina, Sara Kingdom and Bret Vyon (for some reason Bret isn’t usually counted, but he traveled in the TARDIS and spanned multiple episodes [ETA: see comments below, thanks!] yet the BBC and official sourcebooks generally list Katarina and Sara but not Bret in their companion galleries). I’ve read about and seen pictures of all three for decades, but they and Victoria are the only classic regulars I’ve never seen in live action before. I felt like the epic saga lost momentum when the Meddling Monk showed up. I loved him in The Time Meddler, but he changed the tone of Master Plan from a grimdark SF story to a Romans romp, especially in the Egyptian episode. It’s a pity, because the Batman-and-Joker banter and pranks between Hartnell’s Doctor and the Monk are a lot of fun. I quibble about the tone change, but I will admit that The War Games became awfully dreary with ten grim episodes in a row, so perhaps the comic relief was warranted. Also, this was early TV: there’s something to be said for experimentation. But I digress— much like the “Feast of Steven” digressed. The serial chase or quest is a format that appeared multiple times in the first several years of Doctor Who. In a way, The War Games is the last hurrah of that framing device, after which it was retired apart from Key to Time. Master Plan is more successful than The Chase (which I actually enjoyed, but I’m in the minority) and Keys of Marinus (ditto, although I used my tape recording of it to put me to sleep). Nevertheless, there are scenes when the Doctor, Sara and/or Steven start bickering over buttons to push or what course to take or who’s going to hold the gadget, and then after some quibbling… they resolve it, without the argument really making any difference to the story. By the time Steven and Sara are arguing over whether he’ll teach her how to use a compass, I was thoroughly ready for a fight scene or epic showdown. (Or was that supposed to be why she got lost and died? There seemed to be no payoff for that conversation). DOCTOR: Oh, that’s all very simple, dear boy. You see the sun in that particular galaxy has very unusual powers. I merely reflected its powers through that ring. SARA: Is there something special about it? DOCTOR: Yes, it has certain properties. The combined forces of that sun together with the stone in that ring was sufficient enough to correct the Monk’s interference. STEVEN: Yes, but what properties has it? DOCTOR: Now, I don’t want to discuss this anymore. Doc, I think your lampshade’s crooked. The swap of the teranium was an especially neat bit of cleverness, although it’s part of why this serial is so protracted. No matter how powerful the Daleks are, brains win over brawn, and their “master plan” is defeated by a lot of brilliant seat-of-the-pants improvisation. After the Doctor disappears inexplicably in episode 11, he comes back and outwits them with one last clever gambit at the end of 12. It’s presented in a different style, but you could easily adapt his gambit to a modern Who episode with a few more “I’m the Doctor; I do X and Y!” speeches. The Daleks are…the Daleks. It’s odd seeing them ally with other races instead of just playing the Superior Species card, but it’s certainly not the only plot where they temporarily pretend to work with people before exterminating them. They’re horrible in ways I don’t remember in later classic Who stories— the Varga plant defenses, the flamethrowers (I found those ominous), and their callous use of a doomsday weapon that would, as far as I can tell, wipe out quite a few of them as well. But they’re comic, too, as with many Evil for Evil’s sake villains. The Dalek voices in this serial aren’t as good as Nicholas Briggs, but the malevolent Dalek Supreme reminded me of him. The others are basically cardboard villains. I loved Mavic Chen’s voice, but he was so terribly problematic that he was a lot harder to ignore than the “Arabs” scene in ep 7. I’m sorry, Steven and Fiona, but despite your argument that Mavic Chen’s name is Chinese and Slavic, and that his physical features “giv[e] him the appearance of belonging to every known race,” he’s clearly coded to be everything not white. That may even be true of the name “Mavic.” Europe has a long history of treating Slavs as not quite European or not quite white, from Hitler exterminating them to anti-Slavic sentiment in the UK to this day. On the other hand, Chen’s megalomaniac desire for power and his theatrical speechmaking reminded me of Mussolini, allying himself with a greater evil power in hopes of sharing in the conquest of the known world. Yawn. I was more interested in Mavic Chen’s shrewd right-hand man and head of the Space Security Forces, Dal Karlton. Was he plotting a coup, or did he prefer to rule from behind the scenes using Chen as figurehead and lightning rod? I assume the Expanded Universe has picked up Karlton’s story at some point, since he was the last man standing after Chen was killed. Moving onto other actors/characters: Nicholas Courtney was absolutely fantastic, and I’m sorry Vyon was knocked off so swiftly. He acted his socks off, although alas, in most cases we can only hear it. It’s a pity scriptwriting was so vestigial when it came to character development. Courtney instills a lot of personality in the character, conveying some kind of emotional connection to Sara when she confronts him, but the script delays the big reveal that they’re siblings for so many scenes that it loses a little impact (or maybe it just wasn’t as shocking to me since I knew the characters in advance). Sara is visibly distraught about her brother for about a scene and a half after she learns the truth, then the plot moves swiftly on, and within a few episodes she’s laughing and joking with Steven and the Doctor. Likewise with Katarina: Steven is terribly distressed when she dies, and the Doctor gives her a lovely eulogy immediately afterwards, but then she’s pretty well forgotten until the “what a waste” wrapup at the end of episode 12. I’ve always respected Jean Marsh and wanted to see Sara the highly-skilled and dangerous security agent, and so I treasured those brief glimpses. Sara is an Honor Blackman in space, proficient in judo and quite stonefaced until Steven befriends her and softens her up a bit. I loved the fact that she helped repair and fly the TARDIS, something that even Steven is not allowed to do. In the later parts of the serial she seems more passive, taking orders or acting helpless in a way that doesn’t quite match her profile as the best agent in the SSS. I’m probably judging her too harshly by todays standards. As for her death, I thought it was a bit pointless (she simply turned back to check if the Doctor was okay one too many times), but the death itself was memorably horrific, a metaphor for radiation poisoning exaggerated to a terrifying degree. 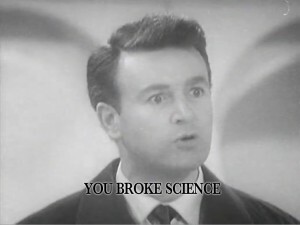 The series hadn’t yet established that the Doctor wasn’t human, but considering that he survived the same time distortion that killed her, viewers must have been buzzing with speculation after that episode was over. My greatest delight in this serial was seeing Katarina, who thoroughly lived up to my nostalgia-tinged expectations (if it’s possible to have nostalgia for a character you’ve heard about for decades but never seen). She was so sweet, so innocent, she practically glowed thanks to Adrienne Hill’s angelic portrayal. The dynamic between her and the Doctor is quite touching. She brings out his gentle, grandfatherly side, and he’s terribly kind to her and patient with her ignorance. Ironic that he could be so abrupt with Ian and Barbara when they first came aboard, so unforgiving of their ignorance, yet now he’s mellowed enough to dote on this girl who like all the young women he meets reminds him a little of Susan. Of course, the Doctor is also rather patronising of her: he loves her because she doesn’t ask nosy (and intelligent) questions like the rest of the strays he’s picked up. Doctor Who? in the early days he was an enigma who resisted defining himself or being pinned down, unlike more recent incarnations. 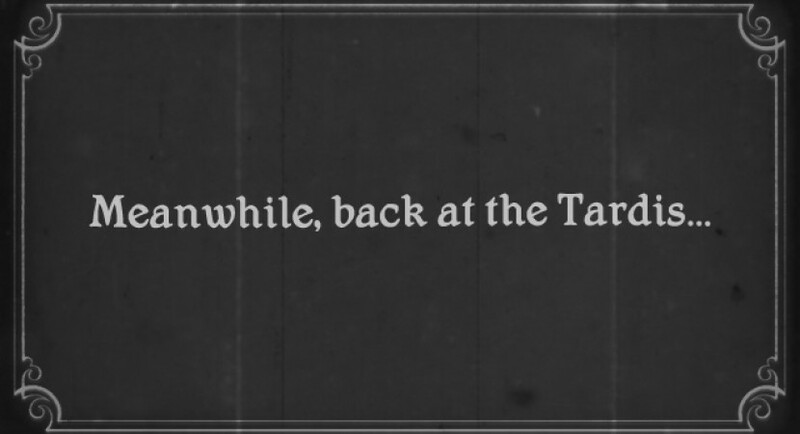 KATARINA: You show me so many strange mysteries. With you I know I’m safe. DOCTOR: I hope so, my dear, I hope so. Ouch ouch ouch. The Doctor doesn’t vow to protect her, but he means to. Sounds a little familiar, eh? Apart from Sara, the other TV companions to die follow in Katarina’s footsteps. All of them sacrifice themselves for others, and they all die partly because they have entirely too much faith in him. I would say they all forget their own mortality, but I think Katarina understood she was going to die. In sum, despite the story’s weak points, I’m glad I watched it, and I’m so delighted to have seen Katarina and Sara and Bret after decades of knowing about them only through story synopses and pictures. Last but not least in this rather incoherent commentary, I want to raise a glass to William Hartnell. It’s too early for Christmas wishes, but his fourth-wall-breaking address to the audience is a magical little moment in Who history. Nice review, thanks. I really enjoyed this one when I watched it, as well – it’s well worth checking out the novelisations (the story is split into two books), if you get the chance, as they put a lot more flesh on the bones of the story, exploring the characters, Sara especially, in a lot more depth than on-screen. One minor quibble though: Bret isn’t usually counted as a companion because he doesn’t ever travel in the TARDIS. He sets foot inside it, but doesn’t travel in it – he does all his travelling by spaceship. I’d love to count him as a companion, though, because he’s great. OH. Good heavens, where’s my brain? You’re right, of course, he never actually travels in the TARDIS. (The Brig almost never does either, but luckily The Three Doctors and Mawdryn Undead put it beyond dispute). Thanks for the tips on the novelisations. I will have to look that up; there’s so much potential worldbuiling in this serial that there wasn’t time for, even with Mission to the Unknown indulging Terry Nation in a rare chance to flesh out the backstory a little.